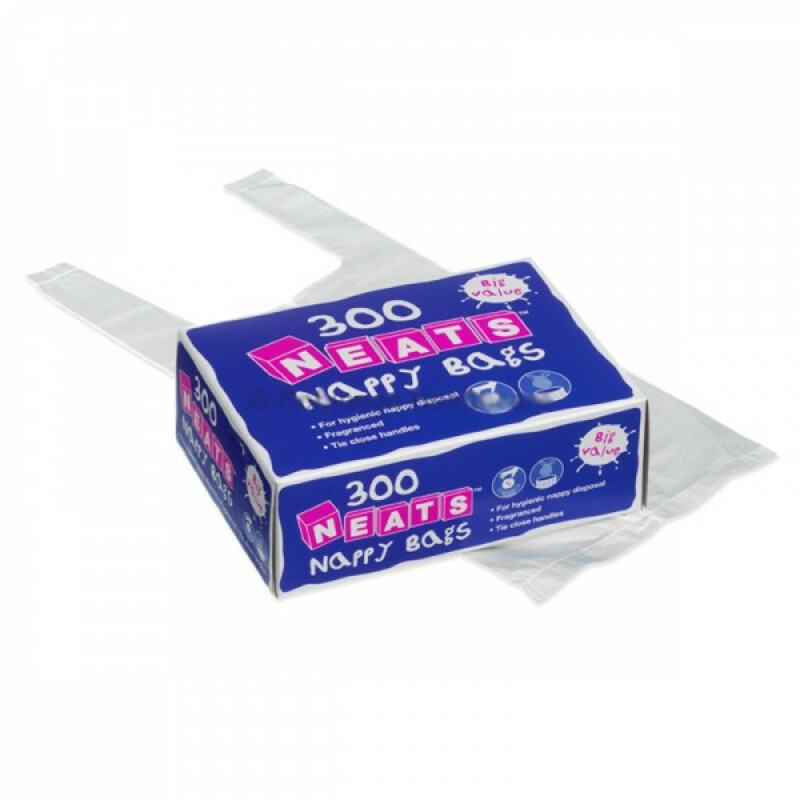 Neats Nappy Bags represent an extremely convenient as well as hygienic solution for disposal of soiled and dirty disposable nappies, carrying used reusable nappies and training pants. Irrespective of where the baby soils its nappies or pants, you can simply insert the soiled nappy into the nappy bag and tie the handles together for security. The bags have a light and pleasant perfume to mask any offensive odours of the soiled nappies till they can be properly disposed of. Each box of 300 nappy bags represents great economic value. The boxes have a convenient window that can be used to pull out single nappies as and when required. The individual bags are large enough to contain the soiled nappies together with any cotton wool or wipes used to clean the baby. Do take note that the bags measuring approximately 23 x 26 cm are not large enough to accommodate the larger disposable sanitary products available in the market. Keep nappy bags and packaging material away from children and pets to prevent the chances of suffocation. Nappy bags are not flushable. Avoid using for babies who may be sensitive to the light fragrance; in case of any allergies do not use further and consult your doctor. 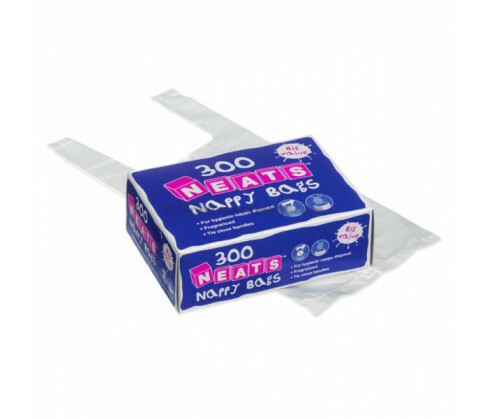 Remove one nappy bag from the box of 300. Open and inset soiled nappy and cleaning materials into the bag and tie the handles together firmly. Dispose the bag and contents responsibly and hygienically.